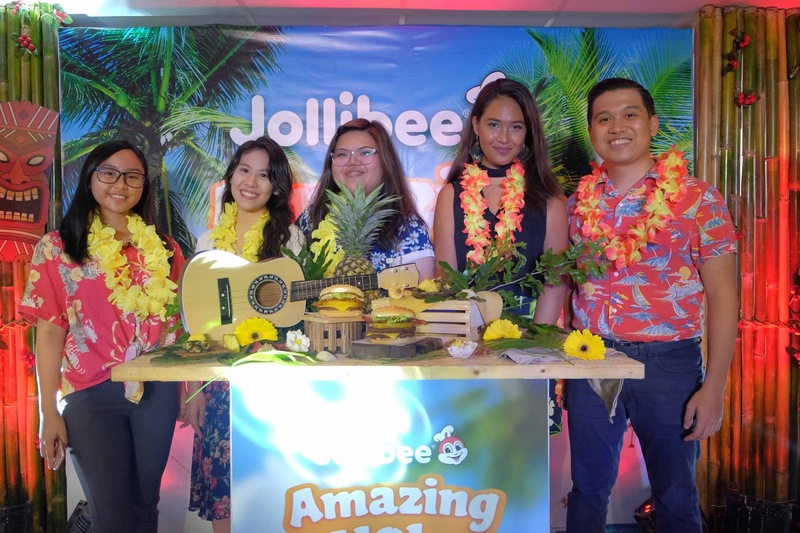 The Food Alphabet and More: Jollibee brings back the legendary Amazing Aloha Yumburger! Jollibee brings back the legendary Amazing Aloha Yumburger! An amazing burger creation from Jollibee which dates back 1996, when it was first introduced and has a long time history up to today! Featuring a sweet, juicy pineapple ring as part of it's main ingredient, that brings out the oohhsss and aahhhss with every bite. The Amazing Aloha Yumburger is available only for a limited time offer making it more tempting and appetizing... every bite gives you that longing flavor you have been wanting for the longest time, truly a flavorful sweet-savory burger. The Aloha Yumburger is made of 100% langhap-sarap pure beef patty, flavor packed with the signature sweet and juicy pineapple ring, crisp bacon strip, cheese, a specially blended honey mustard dressing and fresh lettuce, which also impressed Anthony Bordain during one of his food trip episodes on his CNN show "Parts Unknown". The Amazing Aloha Yumburger is back in all Jollibee stores nationwide this October 2017, for the price of only P85 for the Amazing Aloha Yumburger Solo. Up your ante and double the fun and flavor with the Double Patty Amazing Aloha Yumburger, so fulfilling you would want more. For more information on Jollibee's latest product offerings, new and promotions, do like them on facebook.com/JollibeePhilippines or follow @Jollibee on Twitter and Instagram.